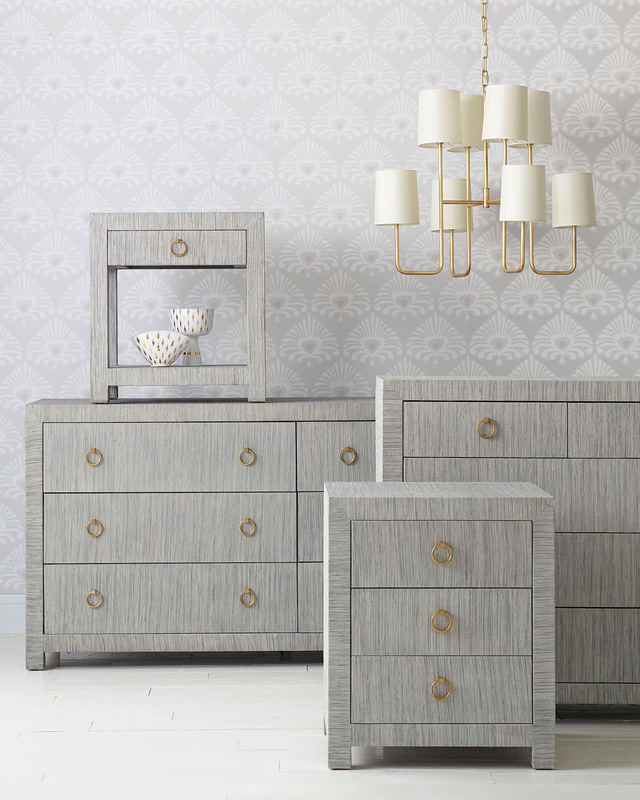 Blake Raffia 3-Drawer NightstandBlake Raffia 3-Drawer Nightstand, Fog alt="Blake Raffia 3-Drawer Nightstand, Fog"
Print Part beachy, part modern, this is a room-changer that doesn’t skimp on style. 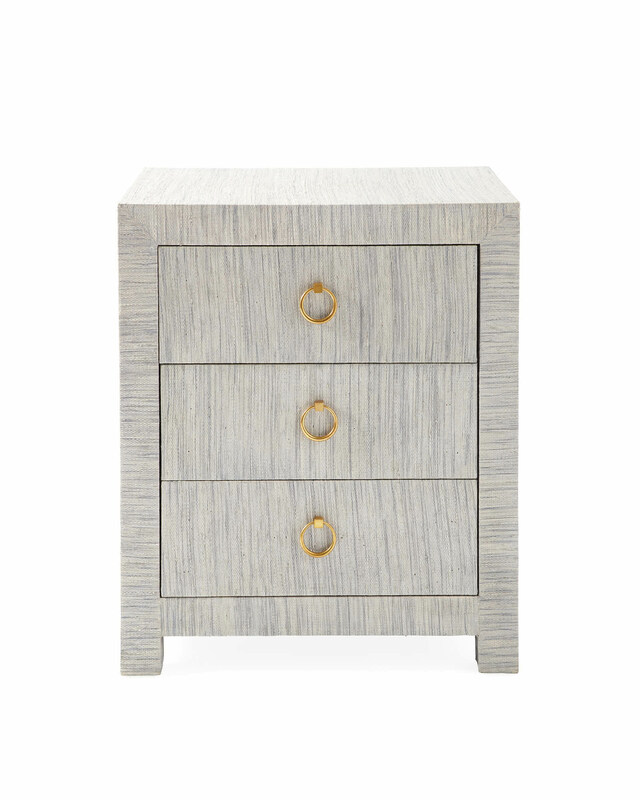 Starting with a Parsons-inspired frame, artisans wrap the nightstand by hand in woven raffia, then give it five coats of clear lacquer for a clean finish. 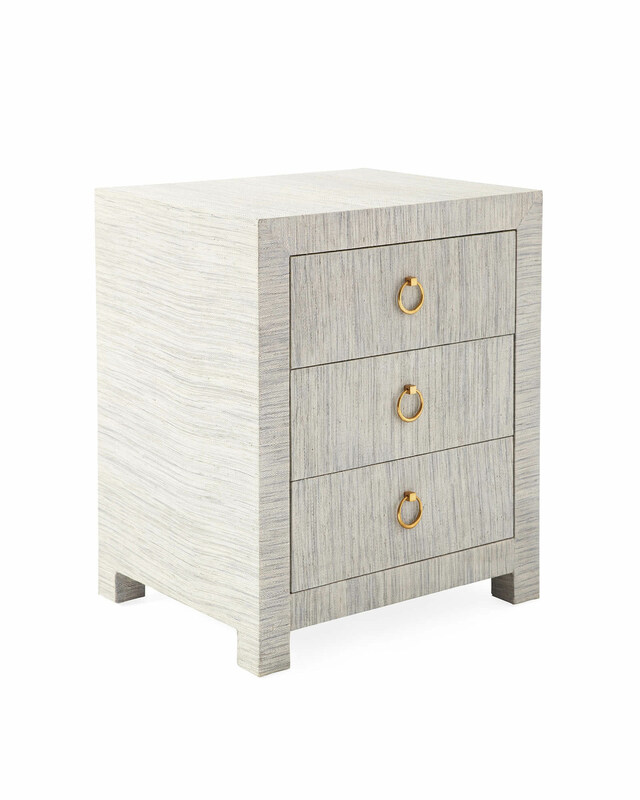 A touch of brass on each drawer adds polish to relaxed raffia. 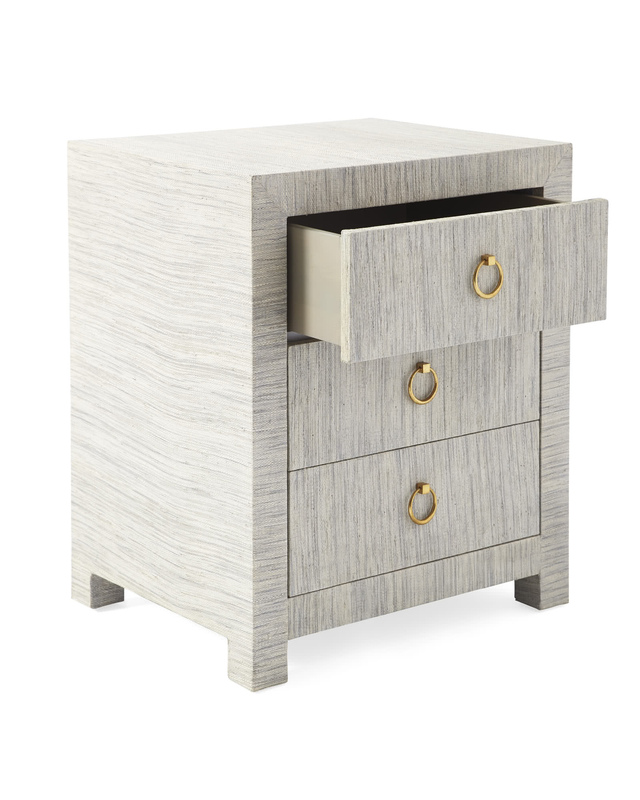 Drawers are made from solid hardwood and maple veneer. 3 drawers with wooden glides. Solid brass ring pulls with antique brass finish. 22"W x 18"D x 26.5"H overall. Drawer interior: 16"W x 15"D x 4.5"H.
Our White-Glove Delivery Service includes bringing the item into your home (up no more than two flights of stairs), unpacking it and removing all packaging.